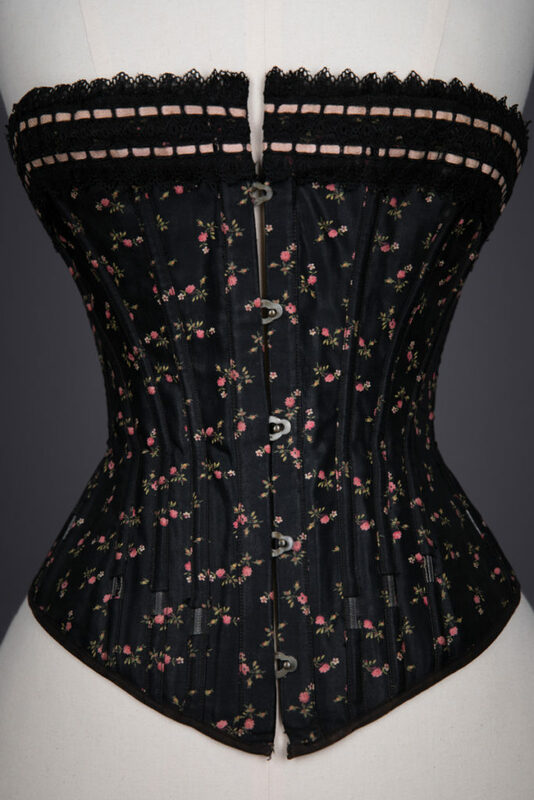 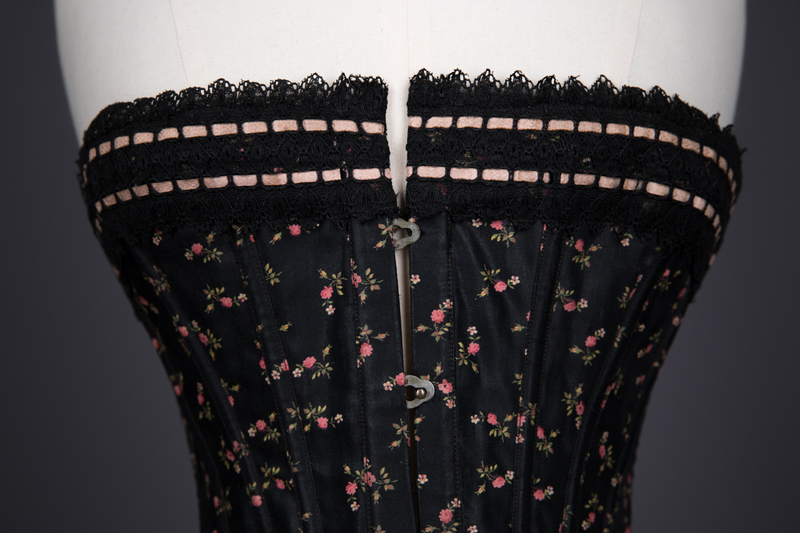 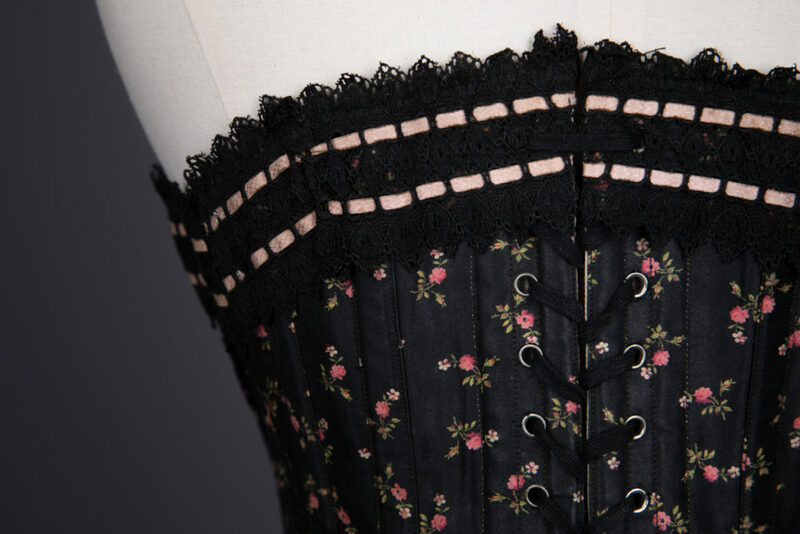 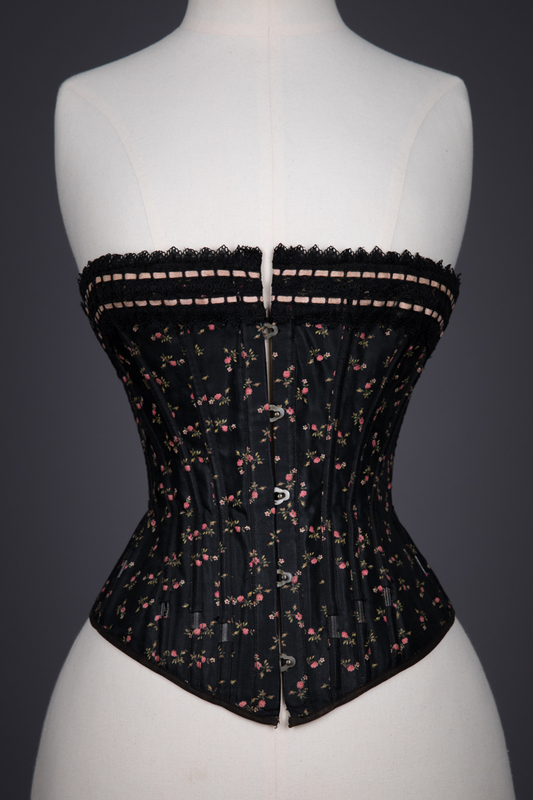 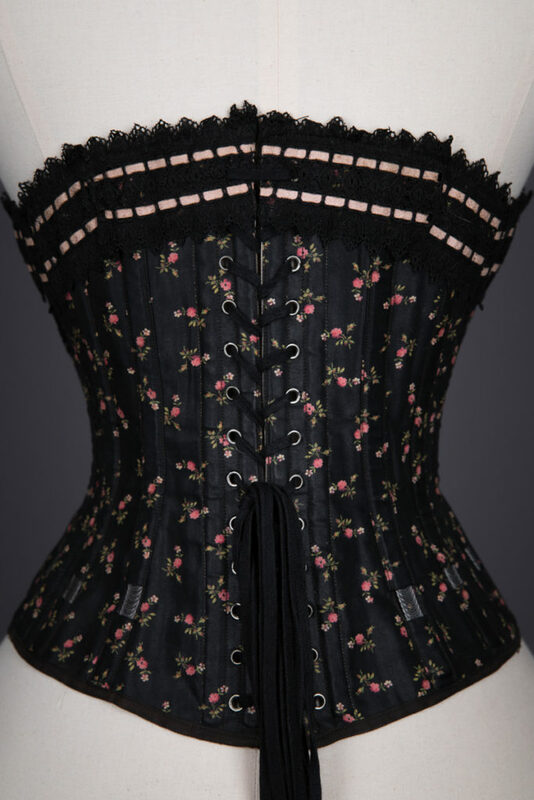 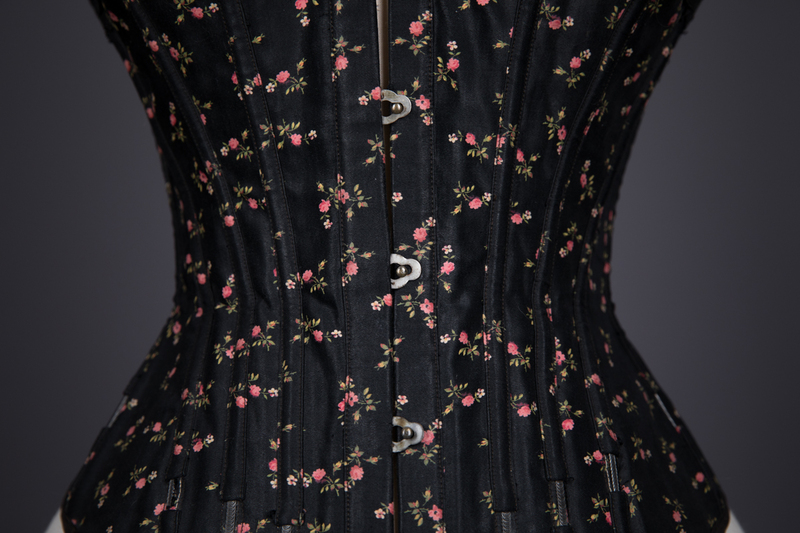 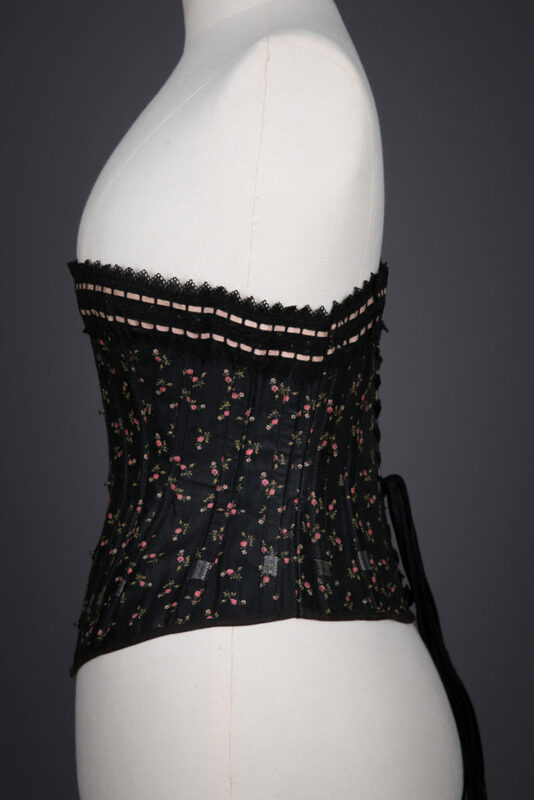 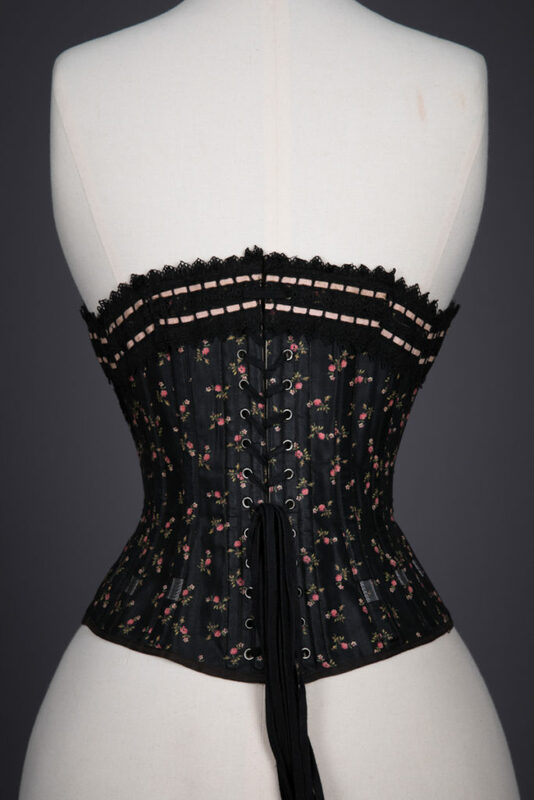 A straight front corset made of a floral printed cotton sateen, lined in a greige cotton twill. The external bone channels are made of the printed cotton sateen, and are interrupted on the bottom half of the garment to expose part of the spiral steel bones. The bustline has additional structure with three rows of horizontal cording. 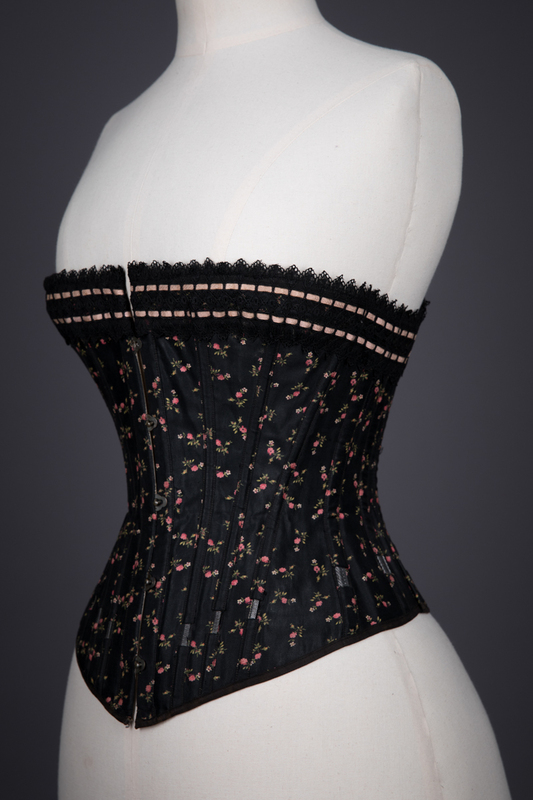 An angled cotton twill waist tape is stitched to the garment interior. 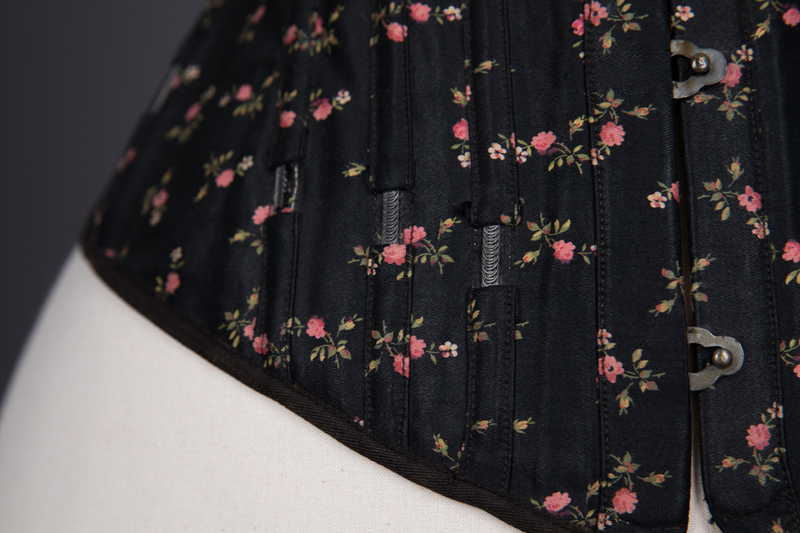 Black cotton twill tape binds the top and bottom edges. 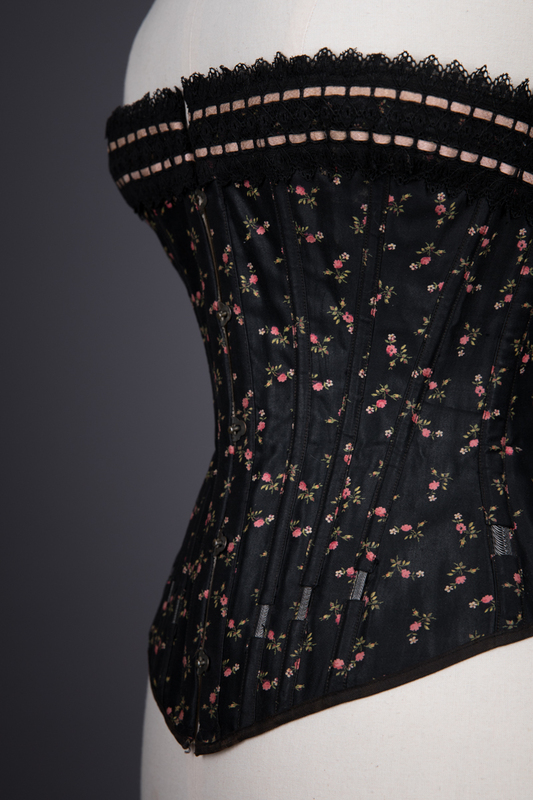 The neck edge is trimmed with a wide machine lace, threaded with two rows of ribbonslot silk ribbon. The corset fastens with a metal busk at the front, and metal eyelets and cotton lacing at the rear. 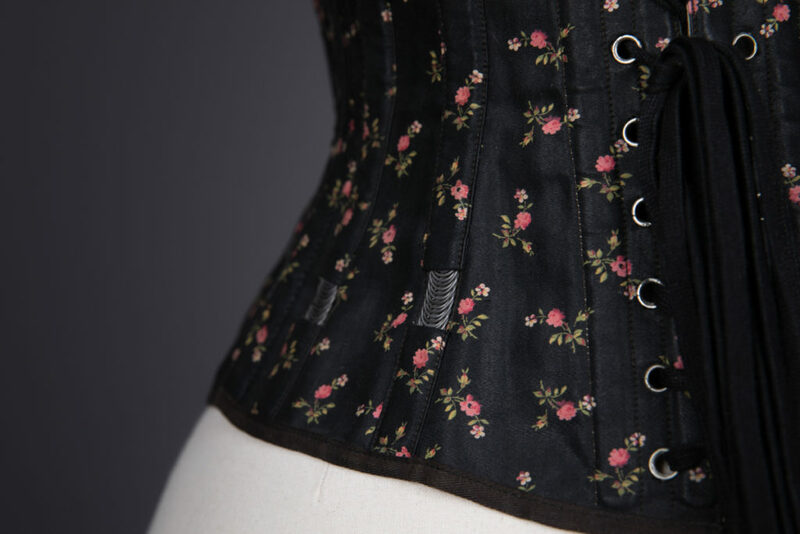 The corset is well worn, and the top busk pin has snapped off, and has been replaced with a hand stitched hook and eye applied to the garment interior. 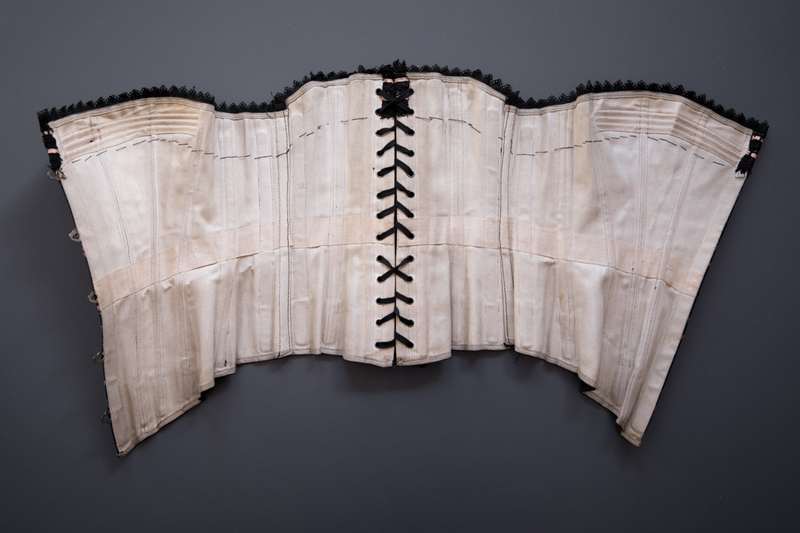 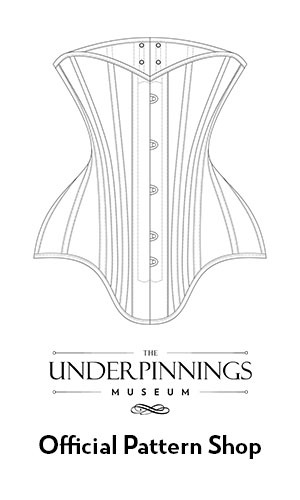 The corset has been altered at a side back seam, with several centimetres taken out of the garment with a machine lockstitch.